Exercising Post Natal: Abs check. 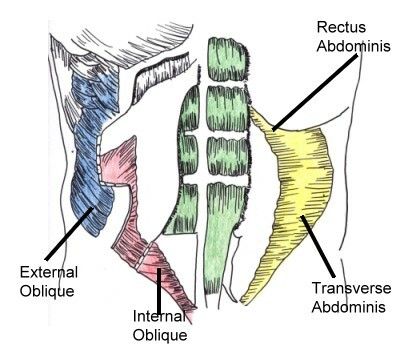 There are several exercises you can do to reduce this abdominal separation. I recommend you contact a pre and post natal trained PT, Pilates instructor or Yoga teacher to show you how to do these exercises. It is better to have someone there to correct you and talk you through it so that you can be doing them correctly. Any questions or comments let me know. I did that little check and I don’t really have any separation which was actually totally surprising to me. But, my stomach still looks like I’m 5 months pregnant despite a year’s worth of pilates three times/week. I think getting my pre-pregnancy body back is a pretty hopeless endeavor, unfortunately. But, thankfully, no major abominal separation. That is good news. If you are doing pilates 3 times a week- get your instructor to check your abs whilst doing the exercises to make sure your muscles are engaging. If that is working then the next thing I would do is look at your diet. Wheat and dairy can cause bloat or there could be an overgrowth of bacteria. You may also want to change up your exercise routing- doing circuits, try running or swimming or classes like zumba or crossfit may help to get your body to start shedding the excess fat. A key to get rid of stomach fat is to balance blood sugar levels and nutrients like cinnamon can help regain insulin sensitivity. Contact me if you want some more help- but otherwise hoped this has helped to highlight other ways of giving you some motivation. Never say never! !